Over the last 15 years we've raised £540 million for men’s health. Every year we publish financial information so you can see your donations at work. £8 million raised for Movember 2017 in United Kingdom. 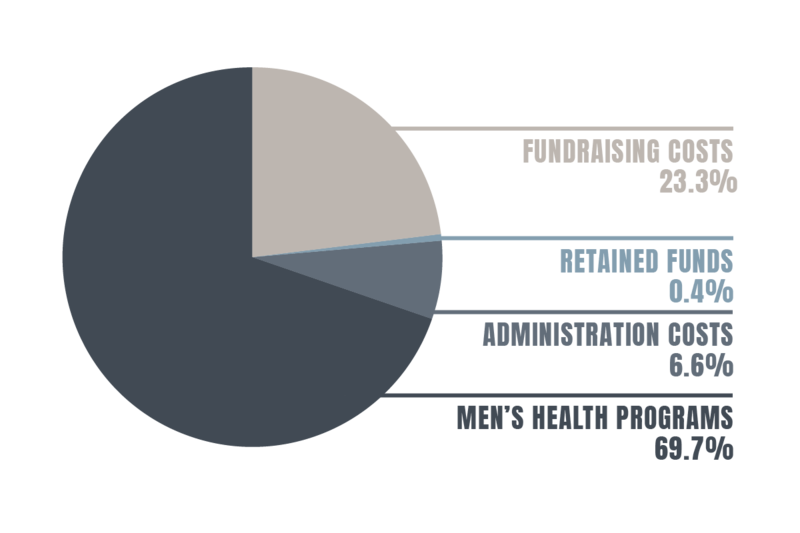 69.7% of funds raised allocated to men's health projects. In 2017, Mo Bros and Mo Sistas from across United Kingdom helped us raise £8 million for the Movember Foundation. These donations allow us to raise awareness, invest in vital men's health initiatives and run Movember each year. We want to help men live happier, healthier and longer lives. We do this by investing in the following critical areas: prostate cancer, testicular cancer, mental health and suicide prevention. We distribute funds to a broad range of men's health project and to trusted men's health partners. In United Kingdom our project partners include Prostate Cancer UK. These partners, along with Movember Foundation managed men's health projects, ensure that donations support a broad range of innovative, world-class initiatives. All funds distributed to our men's health partners are restricted to use in Movember Foundation approved projects only. We keep costs down so donations go where they’re needed most. In 2017 our United Kingdom fundraising and administrative costs totalled just 29.9%, with 0.4% retained for investment in future campaigns. In other words, 69.7% of all United Kingdom funds raised have been devoted to helping men live happier, healthier and longer lives. 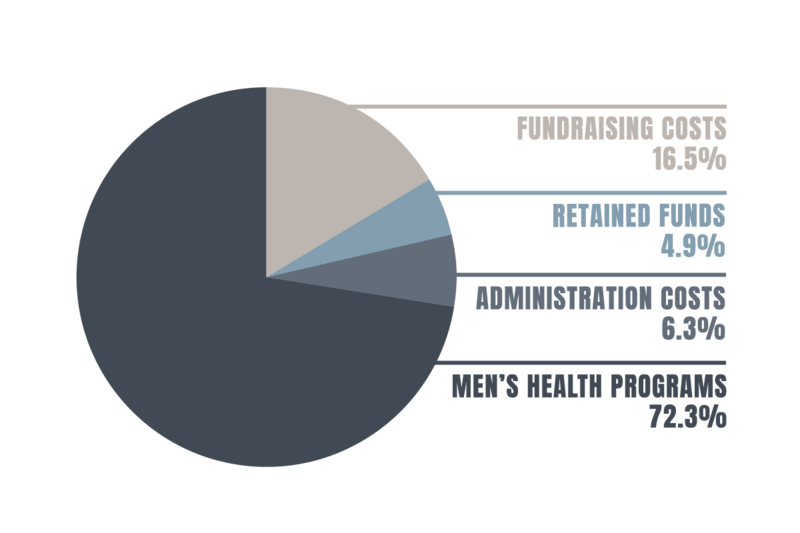 Allocation of funds from Movember 2017 in United Kingdom saw 69.7% of funds raised going to men's health projects. In 2017, the Movember community championed men’s health in 20 countries across the world. Through Growing Mo’s, Moving for men’s health and Hosting Mo-ments, we raised £50.2 million. As a fiscally conservative organisation Movember retains a small percentage of funds to cover future campaigns and to ensure the long-term continuity of the organisation. The retained funds are being progressively built up over multiple campaigns, and once the Board of Directors are satisfied they are at a sufficient level, no further funds will be retained.